Once you’ve taken down the tree, packed the decorations into their boxes and consigned the cards to the recycling bin, your rooms can look alarmingly bare. A focus on your 2017 interiors can be the best remedy for the January blues, of course, so where to start? One of the biggest problems at this time of year is the shortage of daylight, so the first step is to welcome in as much of it as you can. We admit we’re biased, but it doesn’t stop us being right. 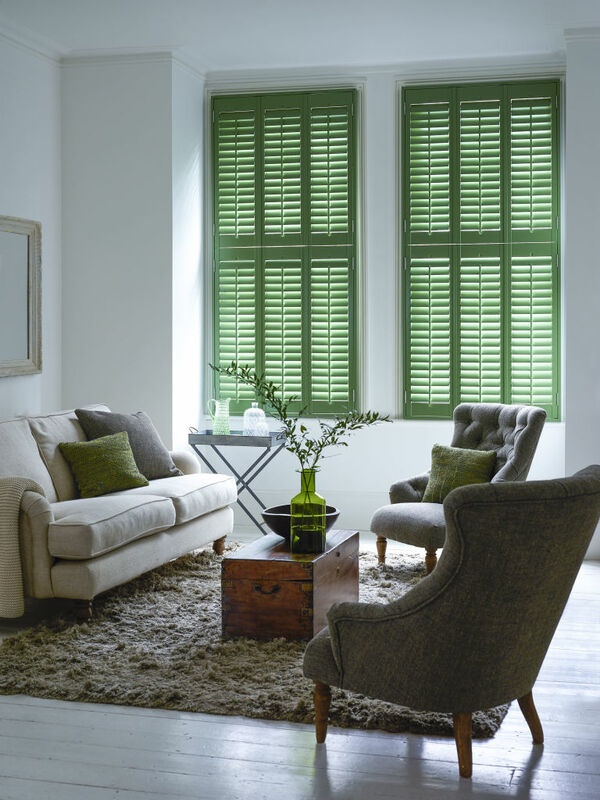 Window shutters are light-promoting alternatives to stop-it-in-its-tracks curtains and blinds. 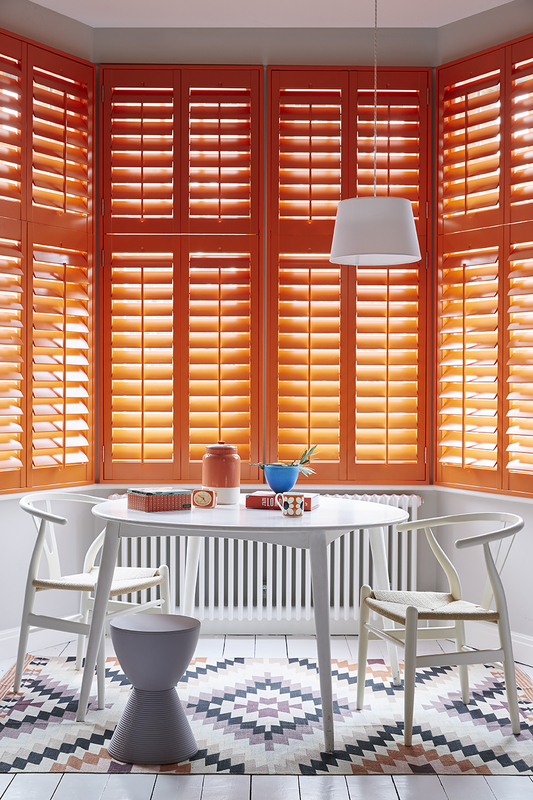 Café-style shutters will leave the top half of the window uncovered to maximise light in rooms where this gives you all the privacy you need, while slatted designs will allow you to balance the keeping of prying eyes out with light in to make January less gloomy. One of our favourite redecorating ideas for 2017 is using soft pastels straight from make-up palettes. We’re talking pinks, peaches, lavenders and so on. For a contemporary effect, use them on a large scale – as seen in this room scheme – and then repeat on smaller decorative accessories. You can team them with dark shades elsewhere in the room, too, so you needn’t revamp every element of an individual interior to get the look. After a low-hassle way to take a room from winter to spring? A pop of warm colour is one of our favourite home decorating ideas when we want to welcome the change of seasons. 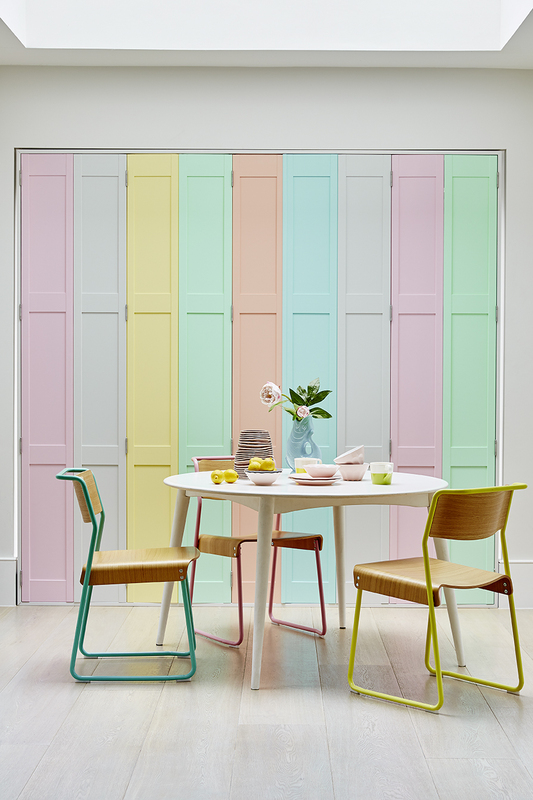 There are plenty of options for adding it in spaces like bedrooms and living rooms, but for hard-working spaces like dining areas and kitchens – or simply if you’re after maximum bang for your buck elsewhere – going for shutters in your chosen standout shade will transform in a trice. Pantone decreed Greenery their colour of the year and revitalising, renewing and refreshing is exactly what this shade is all about. We’ll colour match our shutters to it so you can revel in its rejuvenating effects on you and your room scheme – but don’t worry if you’d rather strike off down a different decorating path, we can colour match to any other hue you’d rather. 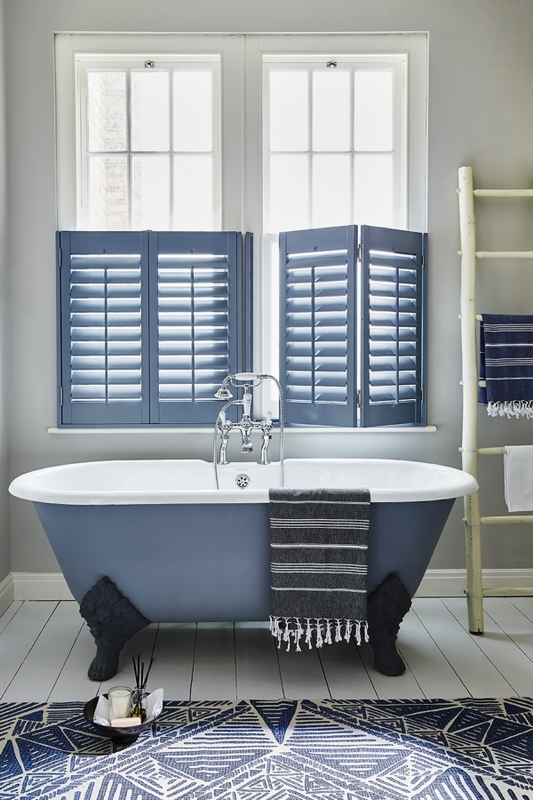 Dressing windows in living spaces, bedrooms, kitchens and bathrooms so they impress can be about colour as these two-tone shutters show beautifully, but don’t forget about the fun you can have revamping via your choice of shutter styles. Take a more classic turn with narrow slats, or add a contemporary twist with large louvres. Go chic with café-style shutters, or fall for the period design of solid shutters. 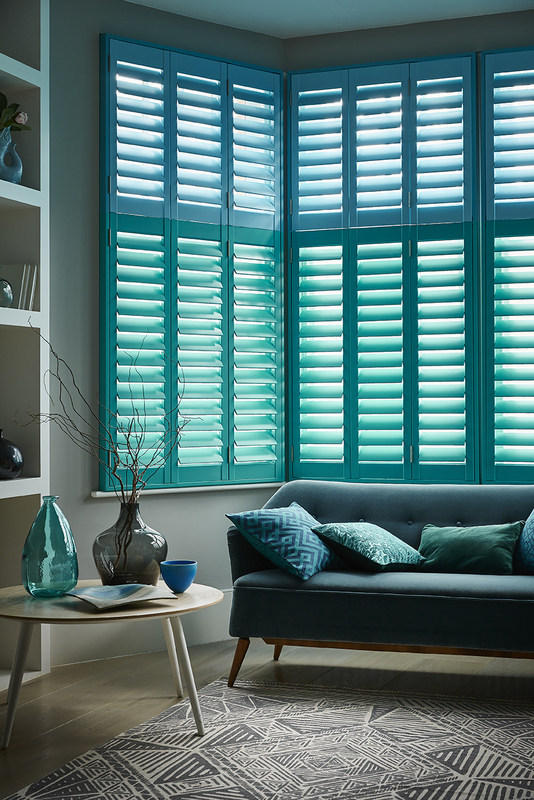 And don’t forget, you needn’t leave French windows and full-height windows undressed either – tracked shutters are the perfect partner to Grand-Designs style windows for a new look in the new year.